I love sending postcards on my travels and I never leave home without some friends’ addresses in my notebook. 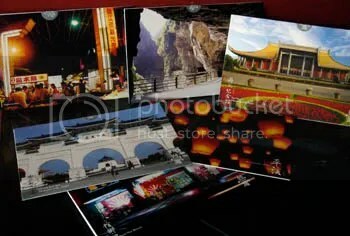 Sometimes it is hard to find original and fun cards to send, but Miin Design here in Taiwan has been making my life a whole lot easier. 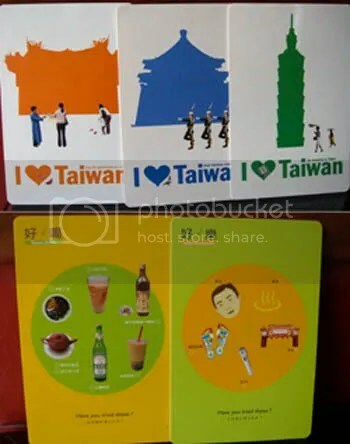 They’ve come up with a whole range of fun and funky cards to send home that really grasps the feel of Taiwan. Mixing traditional culture, some tacky elements and style into truly witty works of art to drop in the mailbox. The top three up here have phrases like ‘Pray for Good Luck’ and ‘Go Shopping in Taipei’ while the other two asks you ‘Have you tried these?’ These are just a few of the cards, there are loads more and I feel like I want to collect them all for myself! 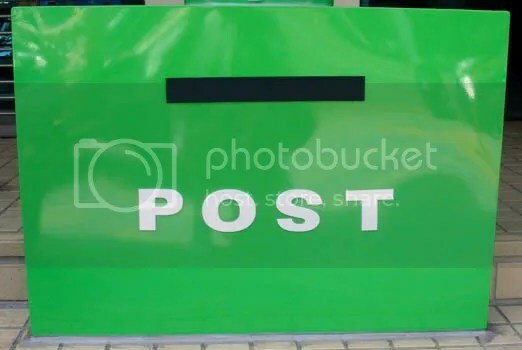 There are pictures that you can pop out to make a 3D postcard! And they are totally Taiwanese. People doing tai-chi in parks, night market stands, guards at CKS Memorial Hall, scooter drivers in the city, and tourists in Taroko. It’s more like a card, with the message written on the inside and the address on the outside. 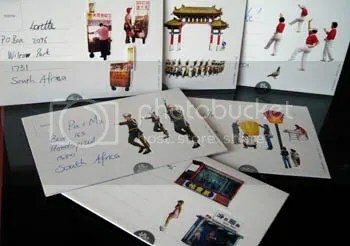 It even comes with a small sticker with the characters for Taiwan on them to enclose the card with. My favorites, of course, are the ones of Taiwan’s ubiquitous betel nut girls or bin-lang girls. 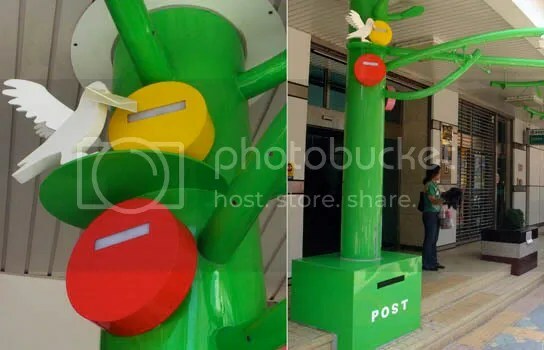 So there has been no reason for me not to write postcards, and to top it all of there is this really cute postbox downtown to drop them into!